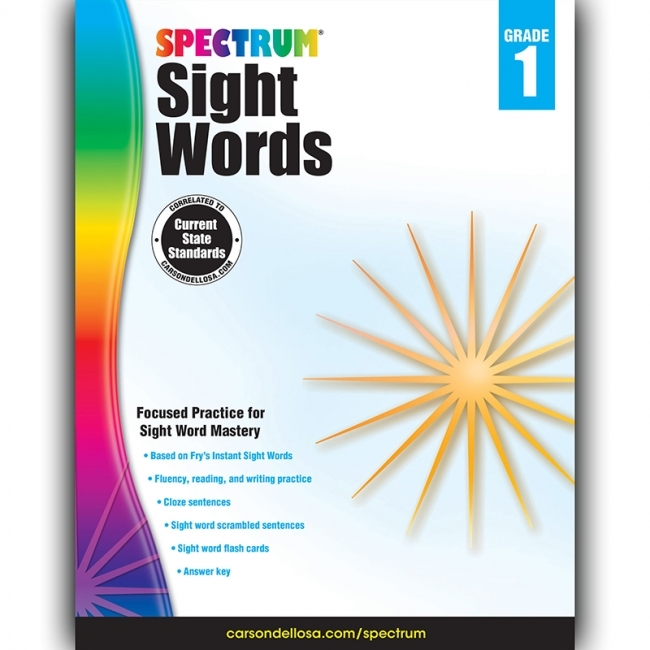 When children master sight words, they can focus on comprehending rather than decoding—an essential step to becoming proficient readers. 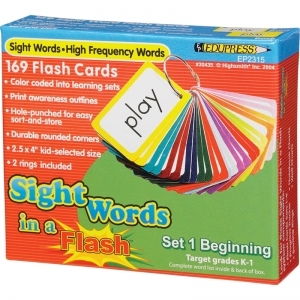 Spectrum® Sight Words for kindergarten is packed with exciting activities and fun flash cards to engage children while they learn commonly used words. Reading can be overwhelming for young learners—ease into the process by introducing common words first. 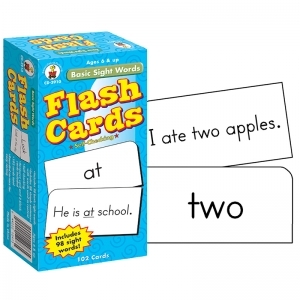 The standards-based Spectrum Sight Words for kindergarten helps children recognize and write 300 high-frequency words using sentence strips, activities, and flash cards. 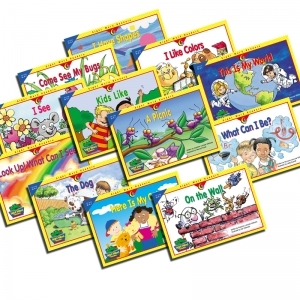 Includes 1 each of the following: 3160 I Like Colors, 3161 I Have Shapes, 3162 I See, 3163 A Picnic, 3164 Come See My Bugs, 3165 Kids Like, 3166 The Dog, 3167 Look Up! What Can I See?, 3168 What Can I Be?, 3169 On the Wall, 3170 Here Is My Cat, and 3171 This Is My World. Help beginning readers master over 100 sight words using the unique, hands-on approach in this resource. 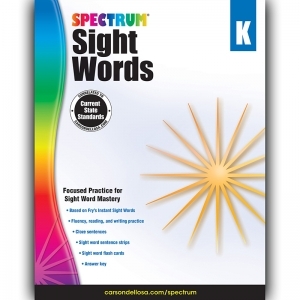 Step-by-step directions tell how to use the sight words on each reproducible to teach an entire lesson reinforcing sight word recognition, sentence structure, vocabulary development, and higher level comprehension skills. 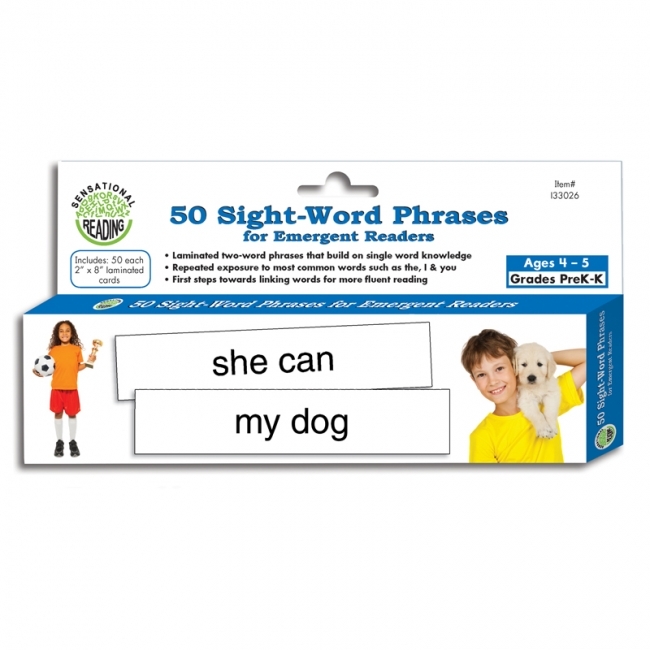 Reinforce sight words in context anywhere you can stick a magnet! 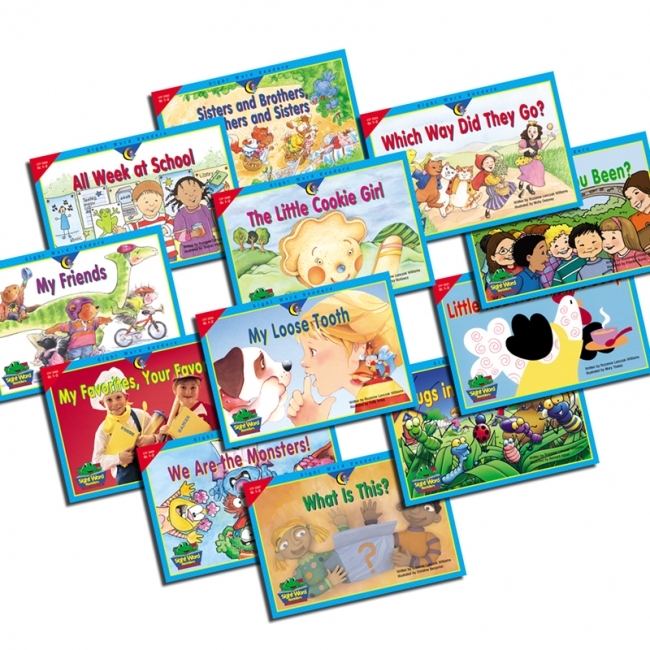 Allows students to create hundreds of sentences and stories in centers. Works on any magnetic surface, including magnetic whiteboards and file cabinets. Supports beginning reading activities focusing on phonics, rhyming, sentence building, parts of speech and more. 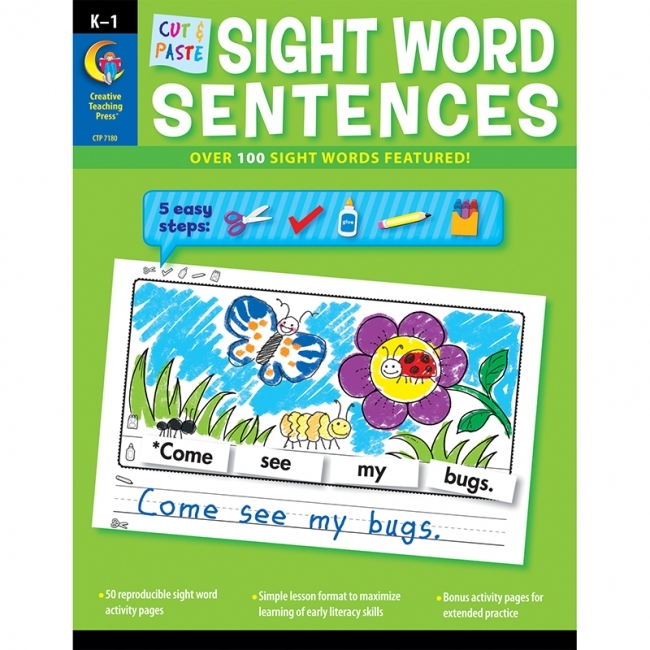 Includes over 240 sight words and punctuation marks. Grades K+. 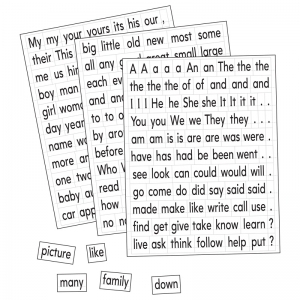 Designed for differentiation, cards help students learn how to visually scan text more efficiently so that they feel more confident attempting new texts or expressing their thoughts in writing. 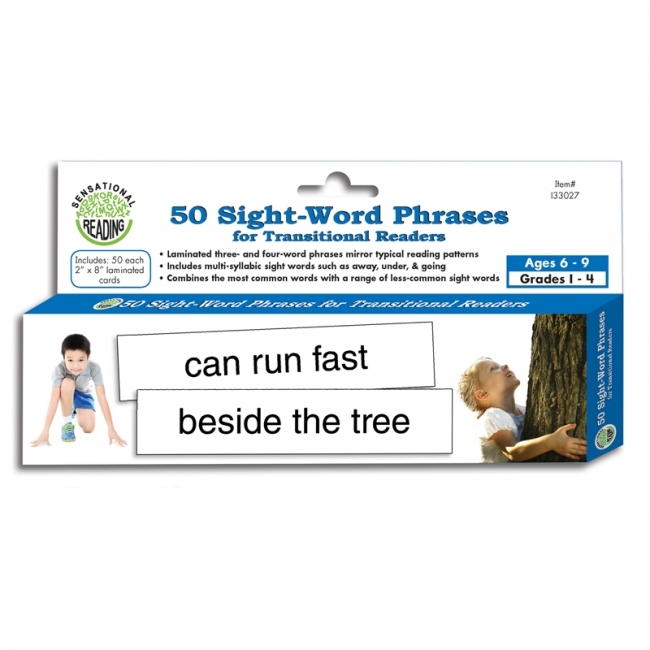 Phrases include many from Frys sight word list. All cards are laminated, and the set includes two blank cards for write-on/wipe-off use. 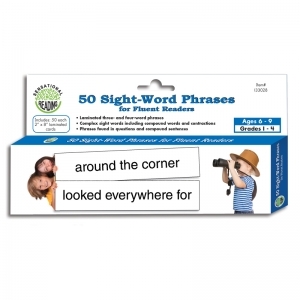 Set includes three- and four-word phrases, including a wide range of common words such as went, our, and see; and it also uses known words to construct longer phrases found in conventional reading. 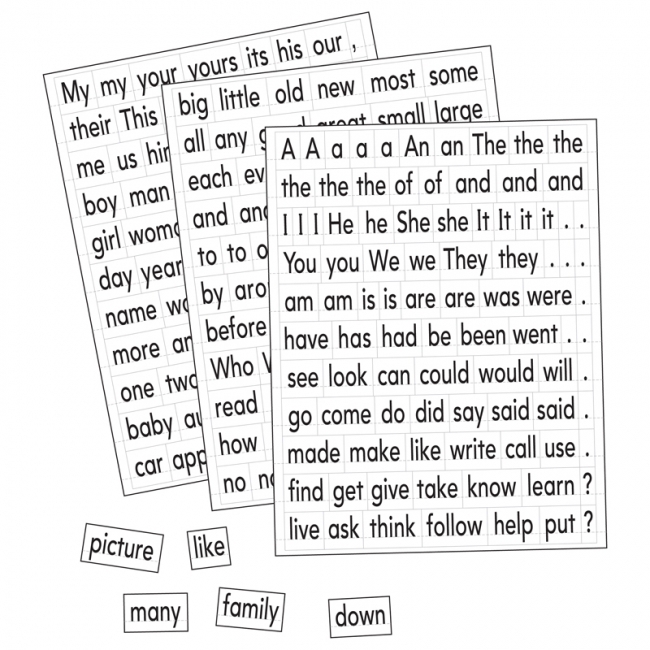 50 each 8" x 2"
Designed for differentiation, cards help students learn how to visually scan text more efficiently so that they feel more confident attempting new texts or expressing their thoughts in writing. 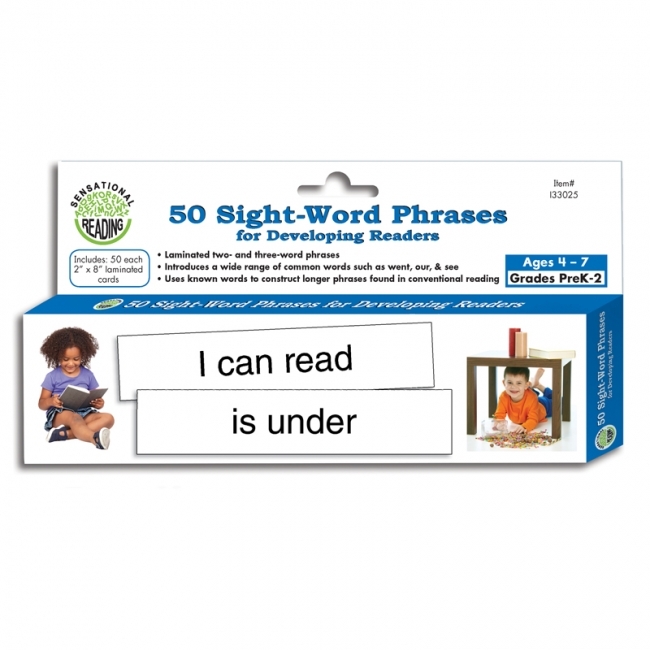 Phrases include many from Frys sight word list. 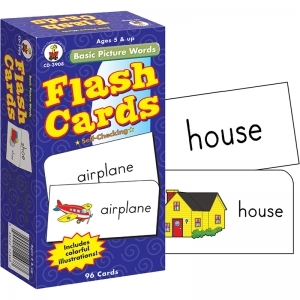 All cards are laminated, and the set includes two blank cards for write-on/wipe-off use. 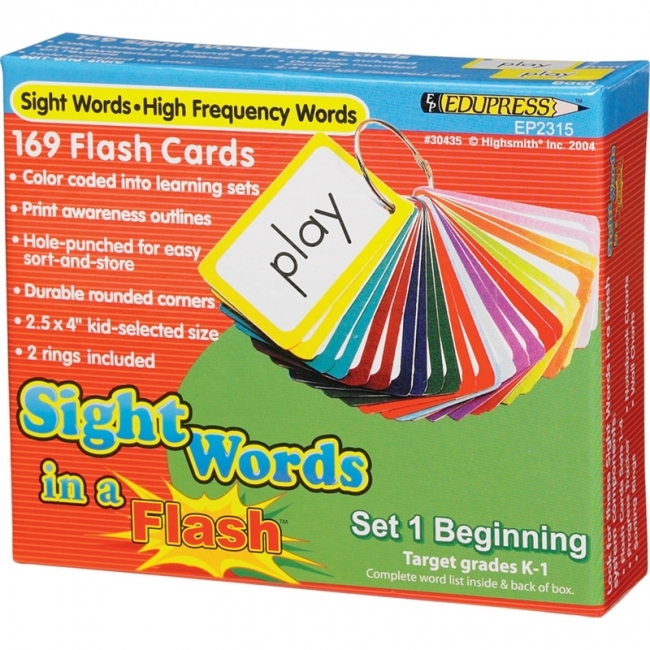 Set includes two-word phrases that build on single sight word knowledge and it also provides repeated exposure to most common cores such as the, I, & you. 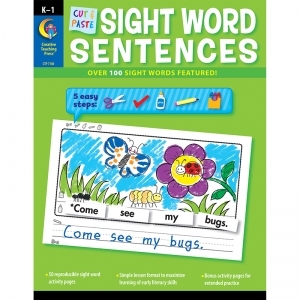 50 each 8" x 2"
Designed for differentiation, cards help students learn how to visually scan text more efficiently so that they feel more confident attempting new texts or expressing their thoughts in writing. 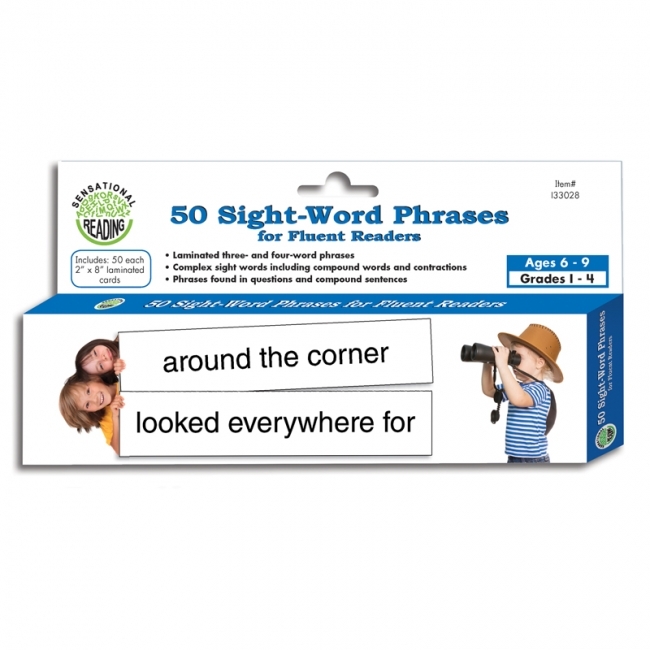 Phrases include many from Frys sight word list. All cards are laminated, and the set includes two blank cards for write-on/wipe-off use. 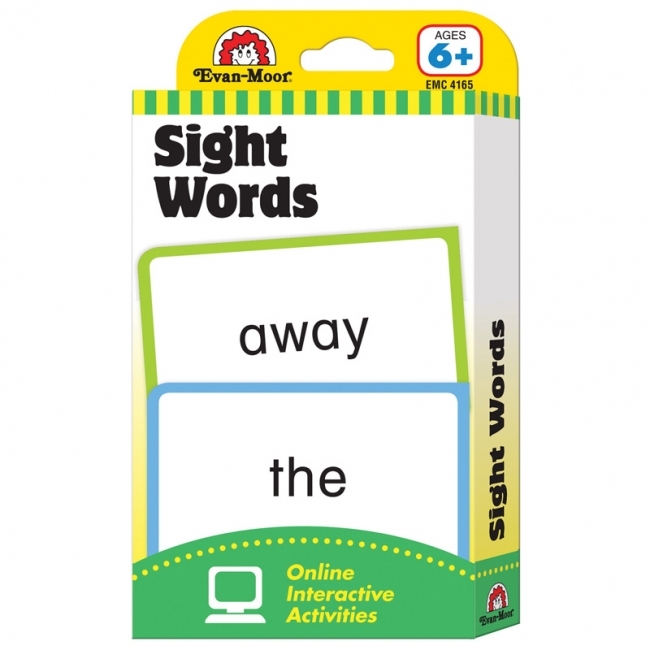 Set includes three and four-word phrases that mirror typical reading patterns, multi-syllabic sight words, such as away, under, and going, and it also combines the most common words with a wider range of other sight words. 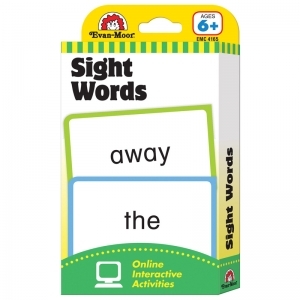 50 each 8" x 2"
Designed for differentiation, cards help students learn how to visually scan text more efficiently so that they feel more confident attempting new texts or expressing their thoughts in writing. 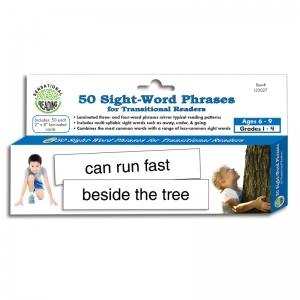 Phrases include many from Frys sight word list. 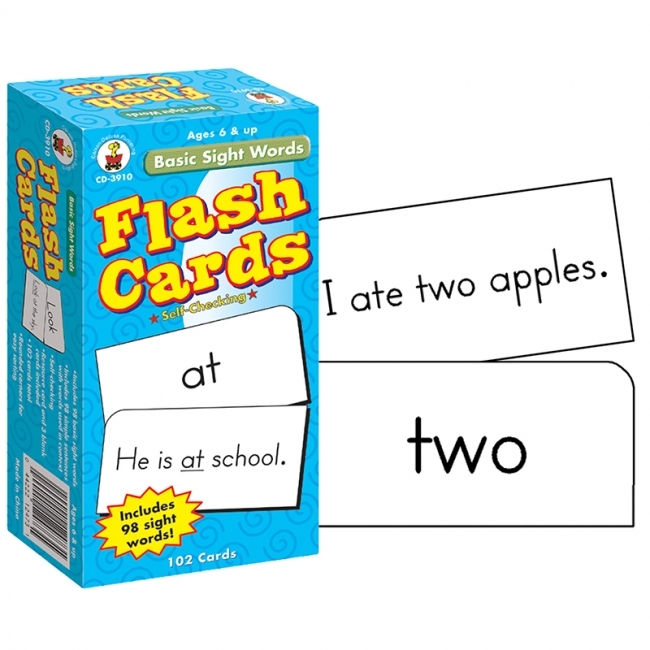 All cards are laminated, and the set includes two blank cards for write-on/wipe-off use. Set includes three- and four-word phrases, including contractions; complex sight words including those often confused, such as because, before, and behind, and it also includes phrases found in questions and compound sentences. 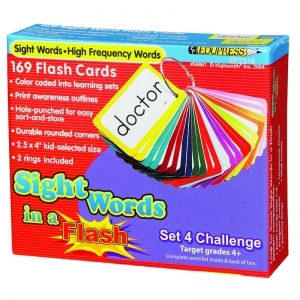 50 each 8" x 2"
Unique flash cards help meet the needs of individual student learning levels while keeping materials well organized. 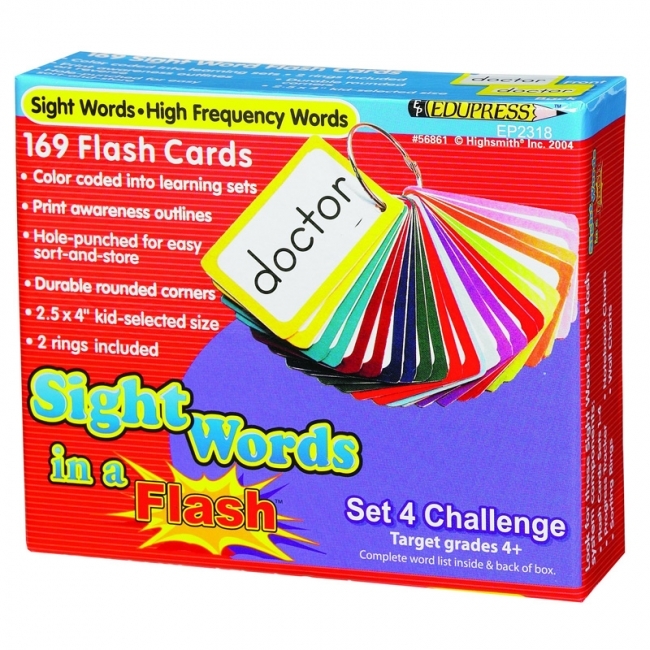 Color-coded cards make it easy for students to work at their own pace and build self-esteem as they master sets of sight words. 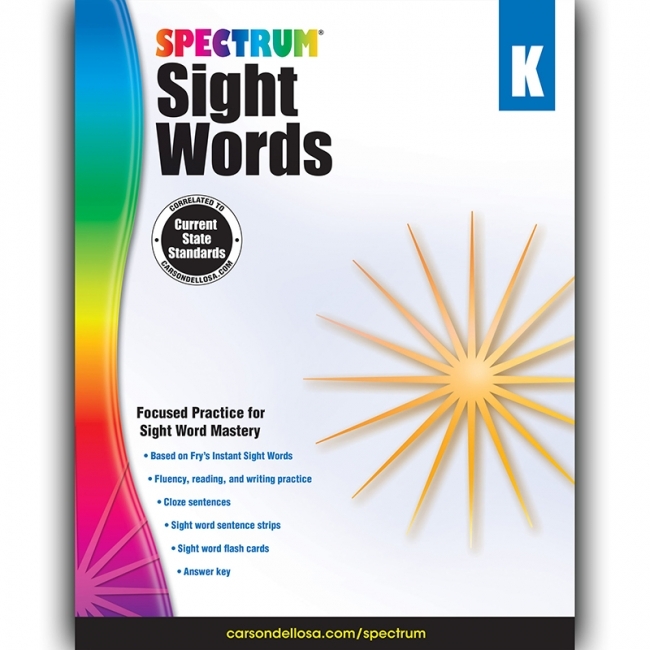 The pull-apart ring system enables students to focus on word groups and easily sort and store cards by color. Set includes 169 cards and 2 storage rings.